‘You don’t get owt for nowt,’ my mother-in-law would say with a trace of suspicion in her voice. She was in her twenties in 1948 when the NHS was born, and could never quite accept that you could get healthcare for ‘nothing’, even though she lived until she was 83. She had grown up in a household which had to scrape the pennies together if a family member needed medical attention, and this new-fangled system seemed too good to be true. It’s not ‘owt for nowt’ we told her, over and over again, we pay for it through taxation, but it made no difference. She was always slightly afraid of taking advantage of this ‘free’ provision, and ever so appreciative when she did. She was as careful about her health as ever, and it was only in her final illness that she felt comfortable about ‘bothering the doctor’. The NHS celebrates its 70th anniversary in July, and although I don’t want to sound like a party-pooper, it’s not looking good. It has grown into such a Leviathan that ‘owt for nowt’ is what we are getting because it costs way more than we are paying for it. 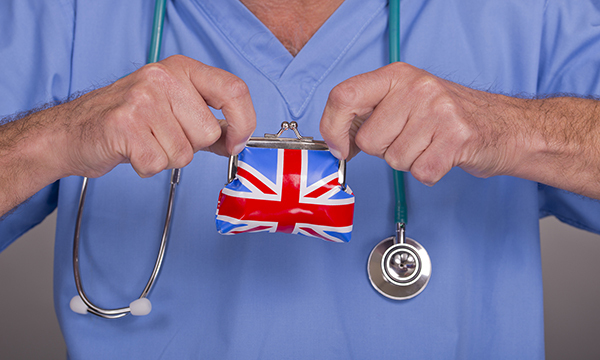 The NHS has become a safety net that has acted as a disincentive to personal responsibility. It has offered more and more possibilities, but somehow – and this is human nature, I suppose – delivered less and less satisfaction. Maybe our anniversary gift to the health service should be gratitude, like my ma-in-law showed, that we don’t have to produce our payment card before receiving medical attention, or have to walk for hours to see a doctor. Maybe we should think what we can give instead of what we can take. My mother-in-law expected nothing unless she paid for it – now people expect everything for very little. Happy 70th anniversary, NHS.